My article, “The Tranquil Meditator: Representing Buddhism and Buddhists in US Popular Media,” has been published by Religion Compass. You can download it from the website if your school has access to the journal. (I’m looking into other ways to distribute this one.) This paper was based, loosely, on a paper I gave in Chicago in 2012, the audio of which is here. This past weekend at the American Academy of Religion, I participated in a panel for the Dharma Academy of North America. Our panel was organized by the wonderful Karma Lekshe Tsomo, and it brought together a variety of perspectives on the transmission and development of Buddhism in the United States. More details on other papers can be found here (PDF, see page 6). I recorded my talk and have posted audio below. The audio quality isn’t great, and I feel as though my argument is larger than a fifteen-minute presentation can really hold. But I also believe that there might be the germ of a good idea here, so in the off chance anyone else finds this topic useful, here it is. A couple of things: this piece is about pop-culture and mass media representations of Buddhism in the U.S., representations often done by non-Buddhists and perpetuated within Buddhist media. These representations are a reflection of just one discourse among many, and the icon of the Tranquil Meditator I propose here is just an icon, an imperfect reflection of certain aspects of our culture. But drawing our attention to this icon and the discourse it represents, I hope to actually move past it to discuss more important issues. Namely, I believe that Buddhist philosophies, doctrines, ethics, and practices potentially contain extremely useful and powerful tools and strategies for solving contemporary social problems and collective suffering. And by that I don’t mean that mindfulness/meditation alone can save the world. The style of meditation represented by the icon of the Tranquil Meditator is just one Buddhist tool, one practice. And no one practice or spiritual technology can solve all of our problems. Moreover, what the Tranquil Meditator represents is extremely seductive; she promises a type of instant psychological and emotional gratification that may alleviate immediate or short-term suffering without necessarily addressing the underlying or root causes, thus merely delaying any potential cure to that suffering. And it is precisely those underlying or root causes — as well as practical and reasonable solutions to these causes — that I would like to see more people (especially Buddhists) talking about in the media, rather than just the constant quest for short-term happiness. I’m deeply grateful to Karma Lekshe Tsomo for organizing this panel and to DANAM for providing us the opportunity to present our work. I am also grateful to my fellow panelists whose own papers were of far better quality than my own! I’m humbled by their hard work and dedication and hope to see all of our work developed and published in the near future. I hope to write another post soon about other experiences and lessons learned at this year’s AAR. So stay tuned. Lastly, because I don’t technically have permission for all of the images I used during my presentation, I do not feel comfortable posting the slides here. But if you’re interested in either the slides themselves or in getting a hard copy of my paper, let me know and I might be able to send them to you. Jane Iwamura down at the University of the West has a class going on right now on Buddhism in the West, and her students are managing a blog called “Dharma Dialogue.” It’s an admirable project to give students the opportunity to share their experiences and what they’re learning, studying, and the issues with which they’re wrestling with the public at large. Especially given the vitriol one usually finds in the Buddhist blogs these days when the topics hit so close to home. I find the posts smart and the entire project bold. I’m a fan. In a recent post, my name was mentioned. Specifically, my Masters thesis. Dear god. That thing’s still floating around out there? Rumor has it that the GTU library can’t find their copy of it, and my electronic file has been corrupted and is barely readable. Which is just as well. I defended my thesis in the summer of 2002, and did most of the research for it over the corse of the previous year. The Internet, in 2001-2002, was a much different animal. Things have changed. When I wrote my thesis, not only did “web 2.0” not yet exist, not only was there no Facebook or Twitter, but “blog” wasn’t really even a household word yet. That’s the problem with doing research on contemporary issues and especially the problem with the Internet. It’s the very definition of a moving target. If I could do it all over again, I’d probably do it differently. Specifically, I’d be interested in the questions of community, identity formation, and the five skandhas. That is, of late, I’ve been thinking more and more about the importance of sangha (community) in one’s Buddhist practice, how community helps in the formation of identity, and (to put a Buddhist spin on all of it) the extent to which the five skandhas are actually present in one’s online life or if it’s just two or three (or four?) of them. I don’t have any firm answers here on any of these questions because, quite frankly, I’ve haven’t been doing any real research on these issues of late. I’ve been focused on other things. But I hope that as others, including the dedicated students down as U-West, dig more into this topic, they keep some of these issues in mind. Now, where Monica is absolutely right, of course, is in her observation that digital Buddhism does not necessarily reflect real-world Buddhism. Her statistics about how many folks are online, what languages they speak, and where they live in the real world are worth a look. However, I’d caution against using Google searches as any indication of anything. First is the problem that Google searches are powered by a proprietary search algorithm that changes rather frequently. How search results are ranked is a complete mystery. Secondly, and related to the first issue, even though a “casual” Google search might appear to be the same for a large number of people, it isn’t. As Google grows in sophistication, search results are actually custom tailored toward specific demographics, locations, and individuals. One person’s “causal” results might not be like the next person’s. Further, and perhaps more importantly, Google searches are clearly not the only way that folks discover new content on the web. The Internet mirrors real-life, and it’s reasonable to assume that one discovers new Buddhist content through existing, self-selected networks. For example, I might follow Buddhist Blogger A, not only her blog but also on Twitter, largely because I agree with her point of view. i.e., the digital equivalent of self-segregation in the real world. If Buddhist Blogger A re-posts something or links to something or tweets some other blog, I’m likely to start following that as well. (It is, after all, how I found out about Dharma Dialogue.) And this has nothing to do with what Google might serve up or what the “mainstream” blogs or media assumes is important. Simply put, we need more research on use patterns. We need more data about how individuals use the web, search out new content sources, and discover digital Buddhism(s). I’ll end here, in part because I’m actually 39,000 feet above Nevada at the moment, on my way to Chicago. But I wanted to say that I appreciated this particular post, part of a much needed new blog in the mix of digital Buddhism. Great work! The game is simple enough. Your character must beat a wooden fish drum and singing bowl to the high-speed, J-pop techno music while swatting away the occasional ghost fire balls and human-animal hybrid gods. The purpose of all this mayhem seems to be to help send the recently departed off to better rebirths. You’ll see little sutra scrolls and nameplates pop up here and there. Oh, and of course, since it’s a game, you earn points and, I’m assuming, there’s a way to win the game. A lot of my recent research has been focused on how Buddhist ideas, imagery, and persons are represented in various media. I’m interested, primarily, in North American media because that’s my general area of speciality. But, of course, in this increasingly interconnected world, it’s all too easy to come across media from other cultures. Tricycle’s only comment on this video was “weird”; and the original article from RocketNews, while betraying a serious lack of knowledge about Buddhist practice more generally, was a least sensitive to the fact that this game is a game (i.e., not the most important thing in the universe) while reporting on how different audiences (namely both Japanese and Chinese audiences) reacted to it. A couple of quick thoughts came to me when I found this earlier today. First, I think it’s important to resist the urge to read media in a vacuum. That is, media rarely exists without an audience, and yet many media critics restrict themselves to merely reading media as a kind of text without also considering how that media is received by different audiences. (Edward Schiappa has some interesting things to say about this.) The makers of this particular video game had a very specific audience in mind when they created it, so it’s important to think about that audience and question the producers’ motivations. Was this game intended for Japanese audiences only? Or a more global market? Was it intended to be nothing more than a diversion? Or was it produced explicitly as a way to help people engage with Buddhism, if even in an extremely non-traditional way? 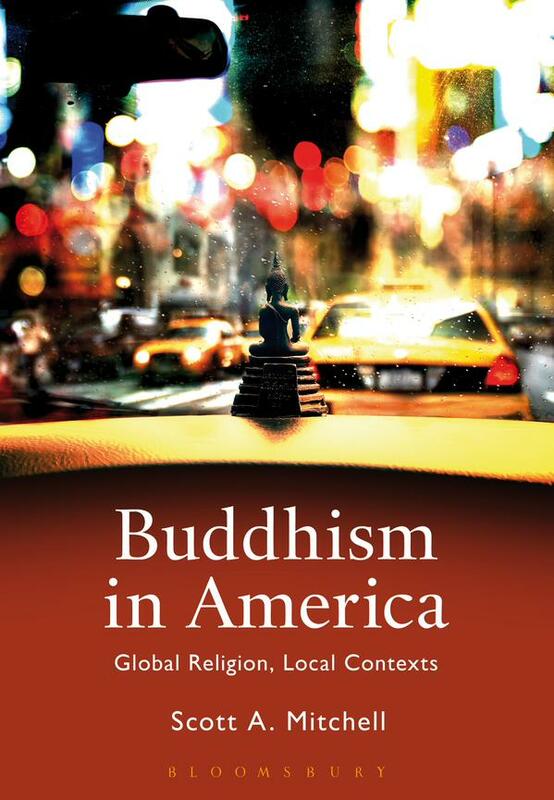 Secondly, I’m reminded of conversations I have with my students about Buddhism, media, pop-culture, and the attendant changes to Buddhism as it interacts with modernity and moves across cultures. 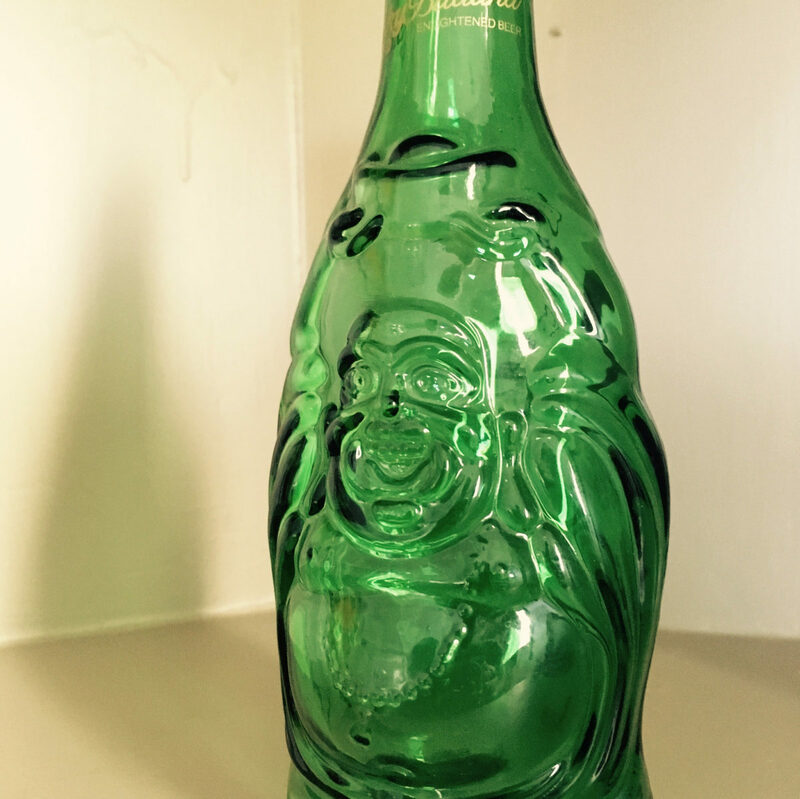 It is easy to look at Buddhism in media and dismiss it as little more than Buddhism’s way of adapting to modernity or as a consequence of moving from one cultural location to another and then say, “Well, Buddhism always changes and adapts to new cultures.” To me, this attitude often stops conversation. Yes, Buddhism always changes, so let’s look at how and why it’s changing in this particular culture, at this particular time. Let’s think about the particular cultural context in which this game was developed (rather than simply dismissing it as some “weird” by-product of a foreign culture). What are the specific issues facing Buddhism in contemporary Japan that have allowed for this game to come into being? Do the varied reactions of Japanese audiences reflect different opinions about the “sanctity” (for lack of a better word) of Buddhism in an increasingly secular Japanese society? As this game moves across geo-political and cultural boundaries, how are different audiences reacting to it from their own particular cultural contexts? By taking seriously these questions I believe we can arrive at a more nuanced understanding of the ways in which Buddhism is affected by contemporary issues. 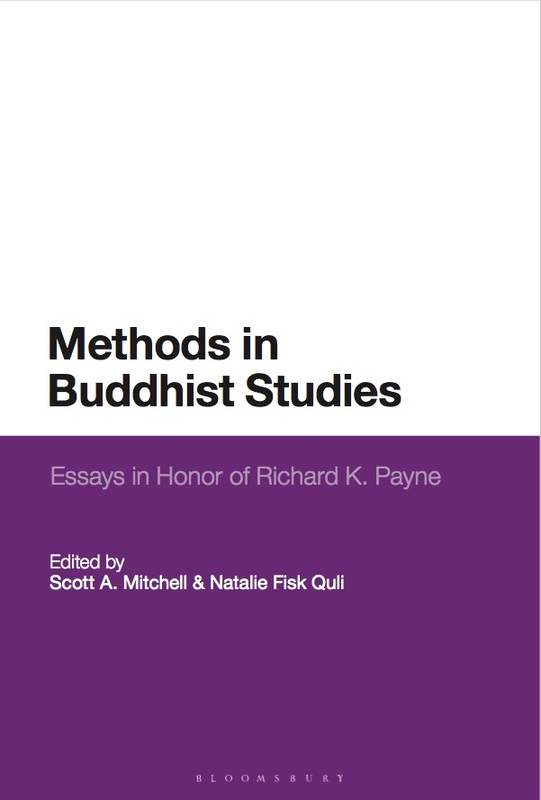 Moreover, we can be attentive to the specific strategies and logics that Buddhists employ to maneuver shifting cultures while remaining relevant to an increasingly secularized, modern, and globalized world.